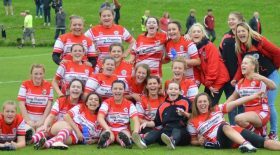 This Sunday saw another successful weekend for the women’s section at Richmond Rugby Club. While the twos beat Thurrock in their seventh bonus point win of the season, the ones annihilated Aylesford with a 74-0 victory. This means that Richmond come away leading both the Championship and the Premiership, having played and defeated every team so far. The next try came just two minutes later, this time from two excellent runs. Jackie Shiels sprinted up the pitch and offloaded to flanker Fiona Fletcher, who turned on the pace to score, leaving the Aylesford defenders unable to keep up. The conversion was good from Shiels, making the score 12-0. Aylesford regrouped and hit back and look dangerous as they attacked Richmond’s 22. Richmond applied great defensive pressure however, pushing Aylesford back, and cause them to give away a penalty. Richmond won the resulting line-out, pushing Aylesford back another ten metres through their outstanding catch and drive. Riley and Alicia McComish made another couple of runs, and the forwards continued to control the game at set-piece, but the score going into halftime remained 24-0. Ten minutes later, the set piece was showing no signs of creaking as Croker scored her fourth try, following another terrific drive from a line out. Five minutes after this, Anna Caplice and Oli Davies ran the whole length of the pitch, allowing Oli to finish off the move to score under the posts. Shiels makes the conversion, bringing the score to 62-0. Caplice continually made good ground picking and going off the back of the scrum and was cutting some great offensive lines – she was rewarded for her efforts by getting a try of her own, converted by Shiels. 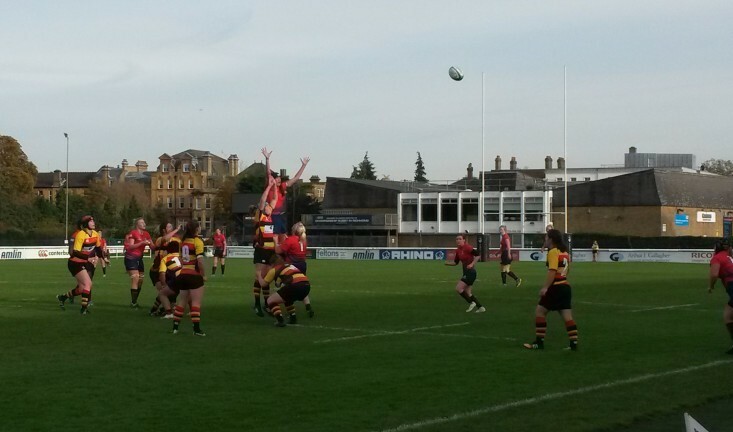 The game ended with Croker having the final say scoring her 5th try, making Richmond’s triumphant score 74-0. The team, having secured their lead in the Premiership and retained the top spot. Next week they make the long journey to DMP hoping to keep the winning streak going.